Weight training conjures images of large sweaty men heaving even larger weights. 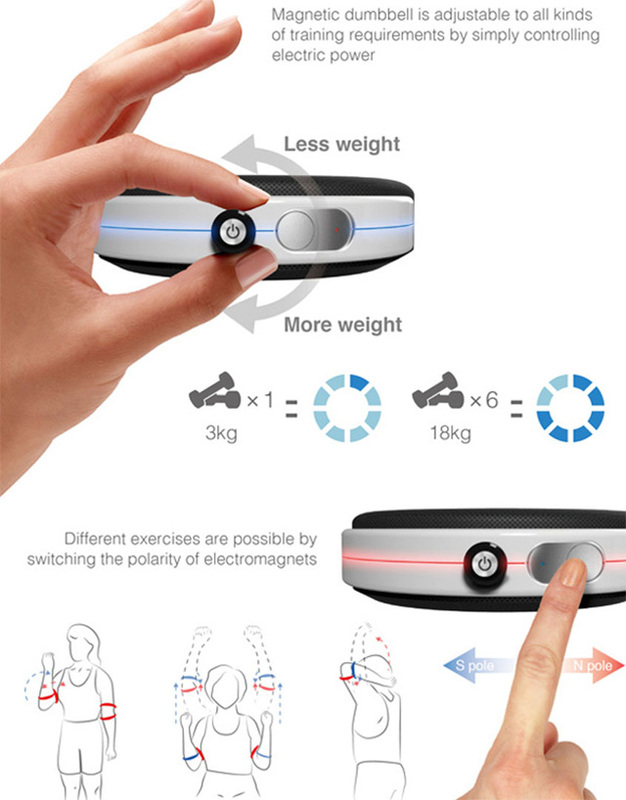 But an armband-like device could change all that by letting you lift up to 24kg without the use of large equipment. The display indicates 8-circled bars which each represents an additional weight of 3kg. The users are then able to choose the right training weight ranging from between 3kg to 24kg. It even keeps track of your workout. Repetitions of each training-set are indicated on the display in the middle of the device so that you never lose count. Its small size and magnetism also means it is easily transportable. The dumbbell was designed by by Suhyun Yoo, Hongseok Kim and Juhyeon Lee of Kookmin University.